Pro-Data Service who was offered using the unlicensed 60GHz for a faster and quickly deployed connection between the two sites . 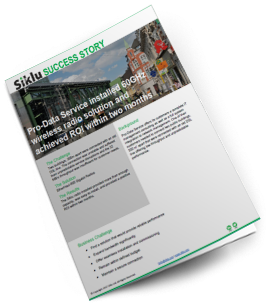 Siklu's EH-600 radio provided more than enough capacity, was easy to install, and provided a positive ROI within two months. Fill out the form to download the guide .